Always have the right color Belt. Brown, black and Wrangler® all over. 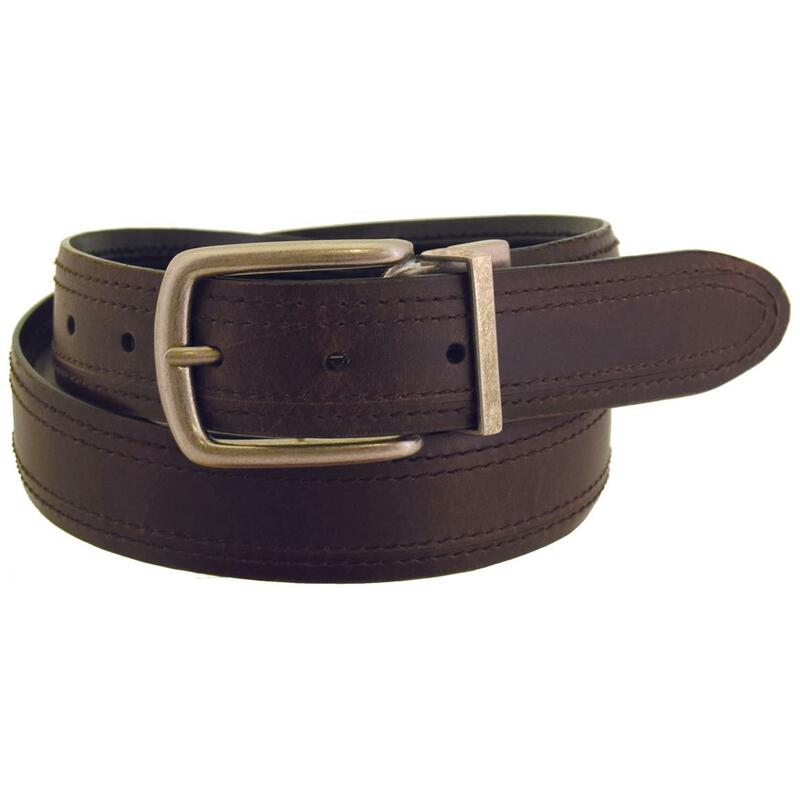 This beautiful oil-tanned Leather Belt comes in brown that reverses to black for pure versatility. The Belt even gets a designer upgrade thanks to decorative stitching around the edge. It makes for a fine dress Belt or even one to simply wear with your favorite jeans. Wrangler Rugged Wear® has a durable style especially for a sportsman like you who enjoys casual adventures both indoors and out.